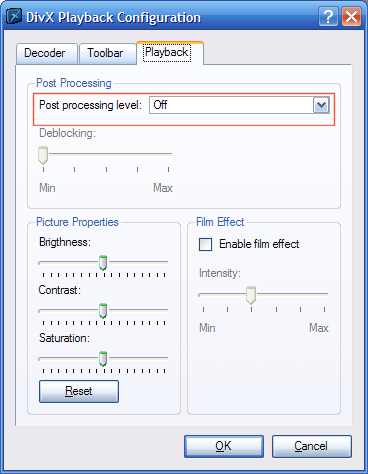 The following steps will resolve General Protection Faults (crashing) when trying to playback DivX files or when browsing video folders in Windows Explorer with the new DivX CODEC version 6.5. 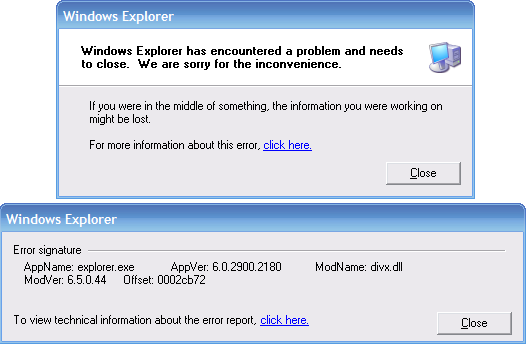 Getting this error when trying to play DIVX using version 6.5 of the software? Thankfully, there is a simple solution to this issue. 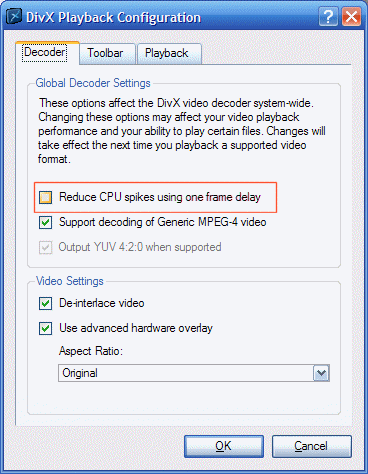 This will solve the crashing issues temporarily without adverse effects and will not affect other DivX® CODEC settings or performance until such time this behaviour is patched. By following these steps you will be able to fully enjoy DivX® version 6.5 without having to resort to downgrading to an earlier version. 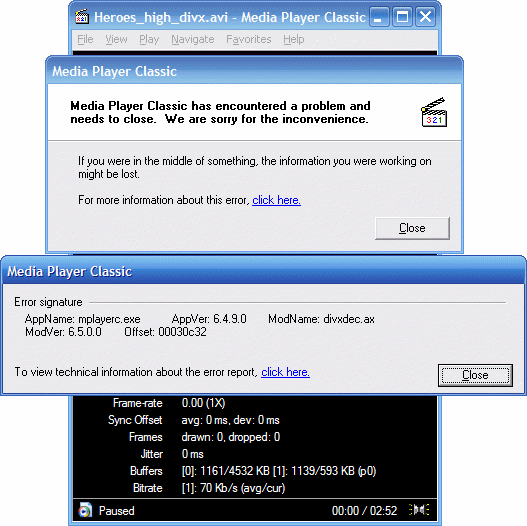 Update: DivX have resolved the issue - http://forums.divx.com/forum/viewTopic.php?id=3099. These instructions apply to versions 6.5 only, and the described workaround is intended for those who do not update their version.